Once upon a time the Herter's "family" in Waseca MN sat down to create the "ultimate" duck decoy. It needed to be lightweight, unsinkable, and durable. They settled on a solid foam construction and maybe because it was just over 7" wide they called it the Model 72 (Herter's Model 72 is a trademark of Cabela's last we checked) and it became the favorite of serious duck hunters in many flyways for the latter half of the 20th century. Untold thousands were sold in most any species of waterfowl that are hunted in North America. Since the foam is subject to breakage over time, they also added a burlap wrapped option to the line that became a family heirloom for many hunters since they are virtually indestructible. Sadly the production line was halted a few years back. 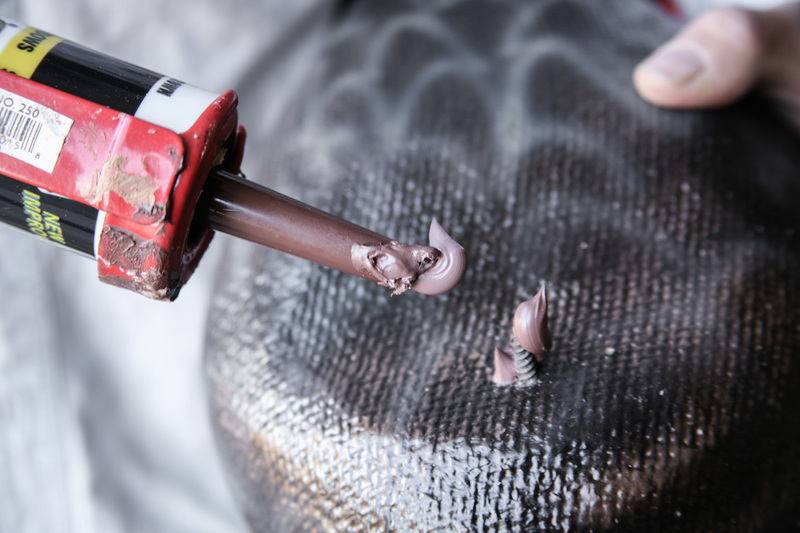 While paying homage to the past, we take burlap wrapped foam decoys to a new level of excellence by using our tried and true wooden decoy heads, signature keel, and an upgraded airbrush paint job. We also tweaked the dimensions a bit to result in a "chunkier" style reminiscent of our old Fat Boy cork decoys. We prefer the stable platform and "content feeling" the 8" wide body affords. Since one of the goals of our business is to create working decoys of style and character that will be worthy of passing down to the next generation, there was no question that we would wrap the solid foam bodies in burlap. 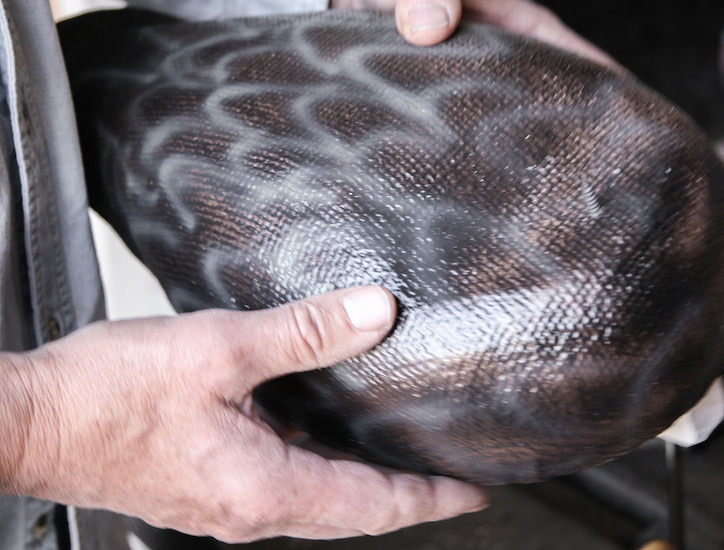 This insures the durability and longevity of the decoy without sacrificing its reasonable weight. Series 72 decoys weigh about 1 lb. each; this is 50% lighter than our equivalently sized wooden decoys. As a bonus, the burlap accepts paint well and the coarse texture adds a realistic appearance that does not shine. We adapted our wood keel design to work with the Series 72. We have a wide assortment of hand carved wood heads (with glass eyes) hand painted with oils to support replacement or even to change up the species if you would like to repaint our body to suit your requirements. In the interest of efficiency we are starting with one diver body shape with multiple paint schemes (Bluebill, Can, Redhead, Goldeneye, Ringneck, Scoter) and one puddler body shape and 3 paint schemes (mallard, black, and gadwall) and now with market interest we have added the pintail, old squaw. Durable hand carved wood heads with glass eyes. Linseed oil preserves the wood followed by hand applied oils. 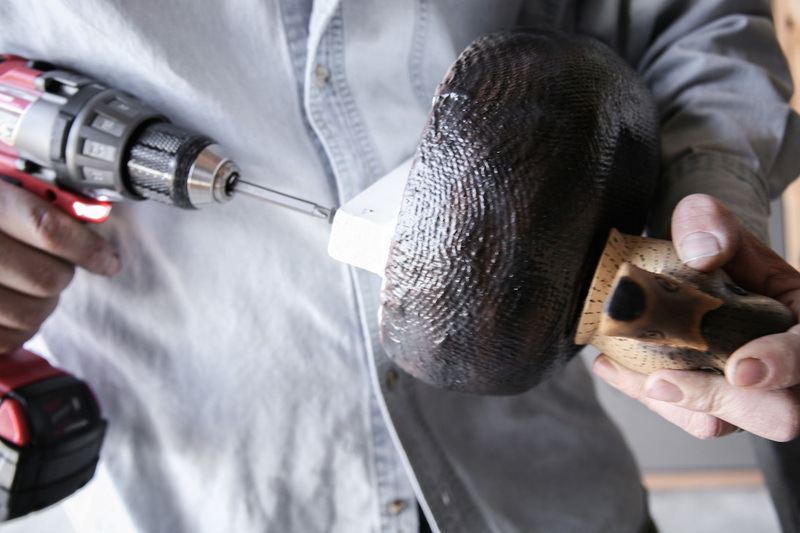 The oils are drawn into the wood grain by the oil for durability. Sure they may scuff up but that patina (and maybe a pellet hole) adds to the character only your decoys will have! Heads are shipped un-mounted with a wood screw instructions provided. Or see our "How to Mount Heads" tab on the previous page. We provide an integral wood keel for wrapping line and for applying any ballast weight you may require. Disclaimer- Since Series 72 are not mass-produced but hand crafted some variation is going to be observed between decoys of the same species. Guess what, mother nature operates the same way; real ducks show even more variation in size and color.Does that make us more realistic? You decide. Series 72 comes with wood screw to attach heads to body. This tutorial covers using a crew to attach the head. Another option is a bolt and threaded insert. For info on that see how to use threaded inserts on our website.